Monitoring tool deformation using inductive sensors based on eddy current enables high product quality combined with improved tool life and reduced rework. Usually, three to four eddyNCDT 3005 eddy current systems are used to ensure consistent gap monitoring. A system consists of a compact and robust controller, which together with the cable and sensor form a solid unit. 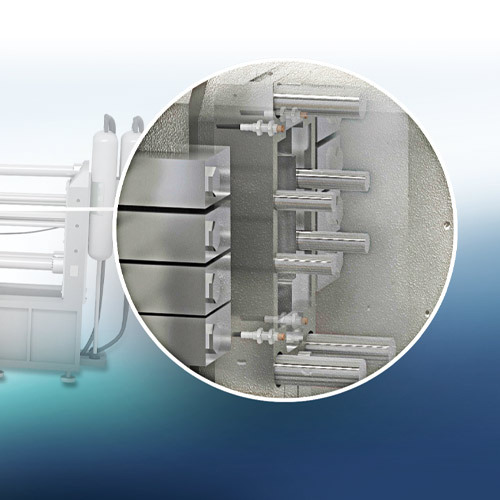 The integrated system design increases robustness and resistance to external factors, making the system insensitive to harsh industrial environments with high temperatures, dust, dirt or pressure, and delivers accurate results regardless of the environment. Due to the compactness of the eddyNCDT 3005 system, subsequent integration into an existing machine is possible at any time.